Become more informed about health issues impacting you, your family and our community, through educational and social programs. Engage in opportunities to directly support local health organizations through hands-on volunteer service. 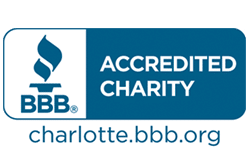 Leverage your resources to make an even greater impact through Healthy Charlotte Alliance’s grant making to nonprofit partners in our community. Cultivate rich relationships with others, who also seek to be more healthy and well and are actively working toward this shared outcome for all in our community.